We've got a pretty good idea what Disney executives would wish for right about now: the leads for the live-action Aladdin movie. According to The Hollywood Reporter, the studio is having a difficult time finding the stars for Guy Ritchie's musical based on the 1992 animated hit. In case you missed the '90s, Aladdin is about a young man from the streets of Agrabah who teams up with a genie to win the affection of princess Jasmine. Will Smith is already on board to play the genie (voiced by Robin Williams in the original) and sources said Disney is strongly considering Power Rangers actress Naomi Scott or Indian actress Tara Sutaria for Jasmine, but the deal can't be finalized until there's someone to play Aladdin. The producers need to see what kind of chemistry the actors have together before they make any decisions. 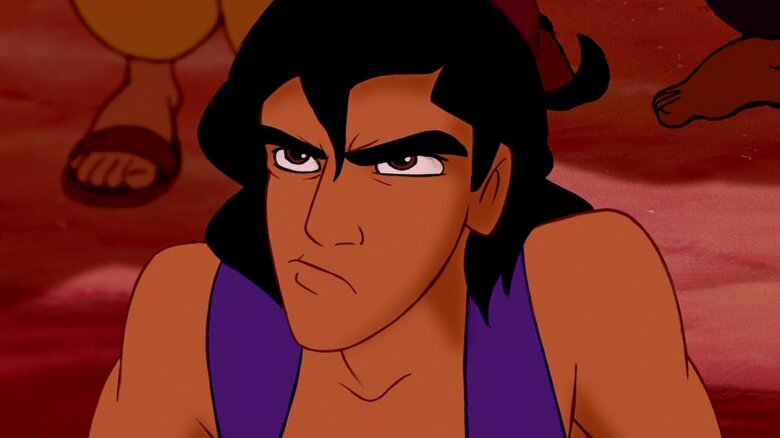 The studio reportedly had interest in Dev Patel (Slumdog Millionaire, Lion) and Riz Ahmed (Rogue One, The Night Of) for the role of Aladdin, but Disney is apparently having trouble finding a performer with the right blend of acting chops and singing ability. The studio also really wants to find an actor of Middle-Eastern or Indian descent. The casting call first went out in March, and sources said about 2,000 actors and actresses read for the two lead roles. The search has been a global one that's stretched from London to Abu Dhabi, and filming is supposed to start in August. However, it's not that Disney can't find willing actors; just that the studio wants to make the right choices when it comes to the iconic characters. Disney also took a long time to settle on Lily James for Cinderella and Daisy Ridley for Star Wars: The Force Awakens, and those flicks turned out pretty okay. While we wait to find out who lands the parts, check out a few actors who turned down big Disney roles.